Traces of Diabetes. What it means to me. I guess all of us see something like this from time to time. Especially if you spend too much time looking down at the ground while you’re walking (subject for another post at another time). 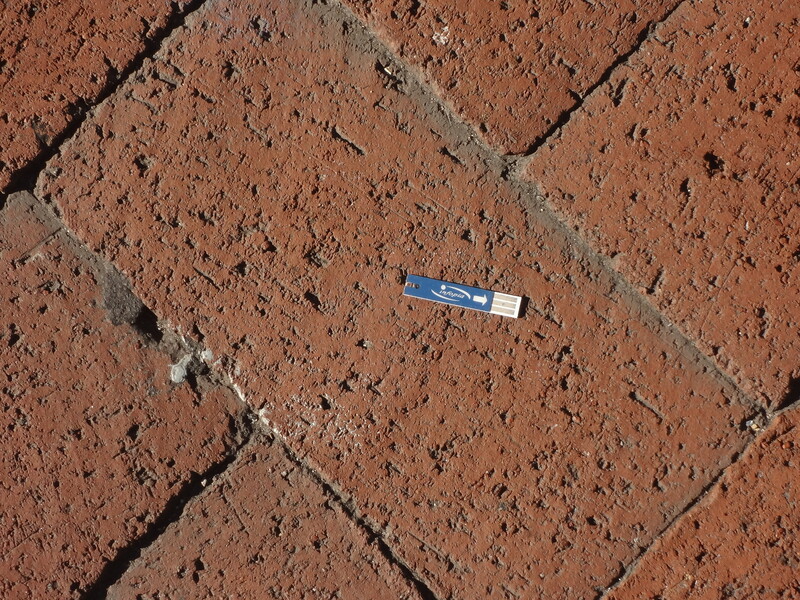 I saw this test strip as I was walking on the sidewalk in the neighborhood where I work. Lots of people have talked about their experiences coming face-to-face with diabetes in the wild. Often it’s something innocuous like this; sometimes it’s a real life meeting with another PWD. Reactions seem to range from the funny to the poignant to the ironic. Let me tell you what it means to me when I see something like this. Often, when I come across evidence that someone else with my condition is around, I’m almost… shocked. I go through about 98 percent of my life never coming into contact with anyone living with or affected by diabetes. Actually, I’m almost never coming into contact with anyone who wants to reveal those things. So I kind of forget that there are others out there. You would think that with all of the blogs, Twitter feeds, etc. I read, and my own participation in social media, it would be enough to help me remember that there are actual real people going through the same things that I do every day. But still, when I saw that test strip, it was a big surprise. To me, it wasn’t something exciting as much as it was a slap in the face. Guess what? You’re not the only one, stupid. And no, you haven’t really connected with any PWDs in your part of the world yet. I’ve tried, but all previous attempts just kind of fizzled. The reasons are many and varied, and in some cases, I’m the one to blame. I’d like to think that my biggest obstacle to connecting in real life with others like me is my schedule, which has been busier in the last two years than it was the previous ten. The truth is, it’s both an obstacle and an excuse. I don’t have a lot of extra time, but I have a little. Maybe that little extra time can be used for some grass roots effort somehow. I don’t know. What I do know is that I’ve changed a lot in the past couple of years. If I want that change to be even more meaningful, I’m going to have to find a way to do something for others living with and affected by diabetes right here in my own community. I’ve just got to figure out how to make that happen. « #DSMA July Blog Carnival. Test strip accuracy. Rhonda, thank you SO MUCH for your feedback today! I really appreciate it. The Philly DSMA meet-up is already on my schedule for next week… I’m looking forward to it. I think what I was trying to say in the post is that I’m connecting online, and occasionally offline, but I’m not doing anything offline much, and nothing locally. In addition to what I’m already doing, I want to make a difference somehow in my own community. Not doing so sometimes makes me feel a little less legit when talking about diabetes issues. You’re legit no matter what 🙂 But I hear what you’re saying. I kind of started being involved in local diabetes things and events before I moved on to blogging, so mine is the opposite problems – I don’t want to miss out on the local-in-person-stuff because I’m spending too much time on the computer trying to read all the blogs, write my own, and keep up with everything.